I know I said I wouldn't have time to post until next week but I seem to have an hour spare and as much as I'm falling asleep I thought I'd take it to write a post for you! I just wanted to show you all what I've been up to! 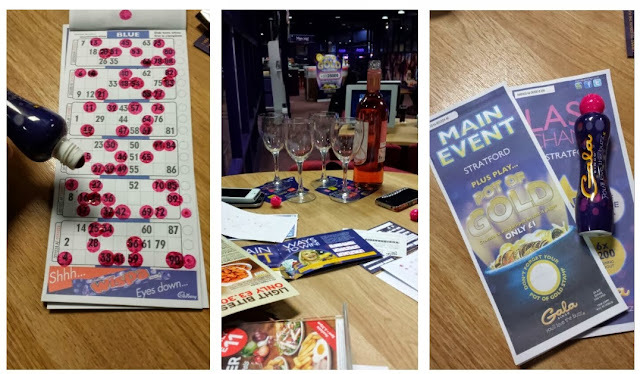 After I left work yesterday, I went down to Stratford to meet up with Penny, Ellie and Lorna for a game of bingo at the Gala Bingo's Stratford branch! We were treated to a free game, free dabbers (which we all chose in pink of course) and free food and wine, perfect. I was the only one who had been to bingo properly in the past so I knew exaclty how it goes down, me and Andrew go rather often really, we went before FACES for my 18th ahaha. The staff there were great, they sorted everything out for us and talked the girls though how it worked. I had to leave early to move on to the next bit of my night and sadly missed the food, but it's OK - Lorna made sure she sent me a photo so at least I could see what I was missing out on hahah hope you guys enjoyed my nachos! On to the next part of my night! While I was at work on Thursday I found out that I had won a table full of alcohol at the Jewel St Pauls So after bingo, I met Andrew and a few friends and we headed to St Pauls. We arrived and were taken to our table, I've never had a table before so that was a nice experience, we all felt very classy as we spend most of our nights at cheap uni bars! 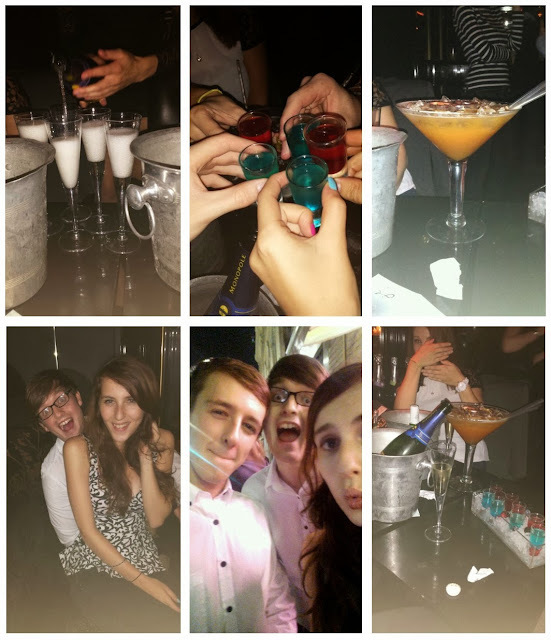 We got shots, a bottle of nice champagne, a bucket of beers and a huge martini fishbowl thing! We wasn't planning on going out this week so a big thanks to the guys at Jewel for making out Friday night! Waking up this morning was super hard but as you know, Lavazza kindly gave me tickets for London Fashion Weekend and I wasn't going to miss that! Me and Andrew made our way to Somerset House and had a look around, we actually didn't stay too long as, obviously, I was with Andrew and you can image what that was like haha we had fun in the Canon room and looked around the stalls and obvs had a lovely Lavazza coffee before Andrew got hungry so we wandered down to Covent Garden for lunch. It's been a busy couple of days and I definatley wont be posting until at least tuesday now as ill be at Olympia! 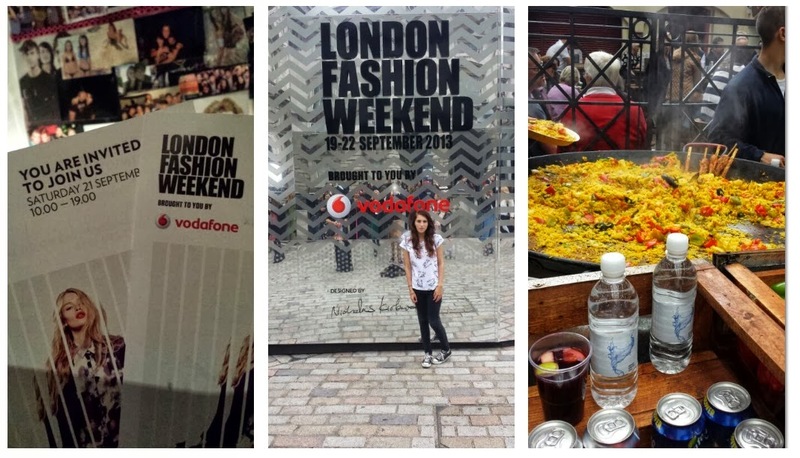 And lastly, Congrats to Jodie who has won tickets to London Fashion Weekend tomorrow!! Hope you have a lovely time! !